In many ways, a biologist’s job is often to create order from chaos. Through research and study, they must explain and classify a natural world that continues to evolve and diversify. 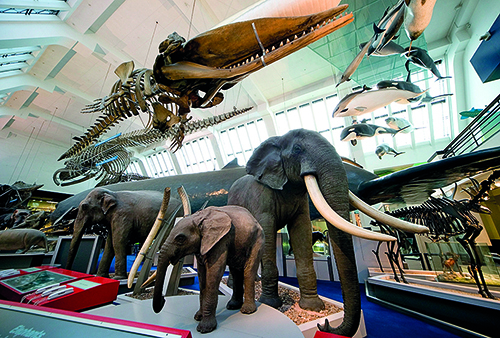 And nowhere is the overwhelming scale of that task laid bare more clearly than London’s Natural History Museum. This is the most important collection of its kind in the world, home to 80 million specimens spanning 4.5 billion years of history. You’ll find dinosaur and dodo skeletons here, Moon rocks and Martian meteorites, elephant bird eggs and 300-year-old butterflies. 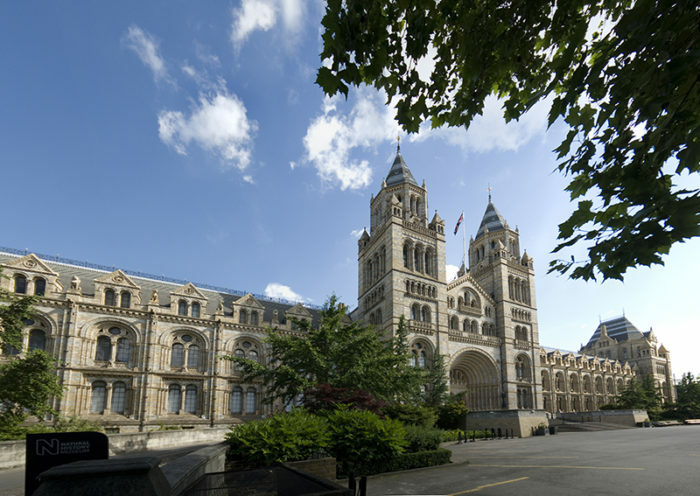 The origins of the museum date back to 1753 when renowned doctor Sir Hans Sloane bequeathed a 71,000-piece collection of plants, animals and antiquities to the nation. They formed the basis of the British Museum, founded in the same year. As the museum expanded, the natural history departments outgrew the Bloomsbury venue so land was purchased in South Kensington for what was then known as the British Museum (Natural History). Architect Alfred Waterhouse created a Romanesque palace that opened in 1881 and includes terracotta animal reliefs on the exterior and 162 hand-painted botanical panels in the ceiling of the Hintze Hall. That hall’s most famous resident recently went walkabout. Dippy the Diplodocus, a 105-foot dinosaur skeleton cast, had graced the vaulting space for 38 years, before it embarked on a UK-wide, eight- museum tour. He has been temporarily replaced with a vast blue whale skeleton. Recent additions to the museum include the Darwin Centre, which is named after the evolutionary biologist Charles Darwin and features many of the specimens he collected during his round-the-world voyages on HMS Beagle in the 1830s. The centre also contains an eight-storey- high, cocoon-shaped structure that is rather appropriately home to 22 million insect specimens. The museum collection includesan actual vial of stardust. The microscopic diamonds are “the oldest things you will ever see” – they were formed billions of years ago, before our solar system existed. Almost 40,000 gallons of alcohol are required to preserve the 22 million zoological specimens in the Spirit Collection. This includes ‘Archie‘, a giant squid measuring 28.2 feet.